Living Area 1416 Sq. 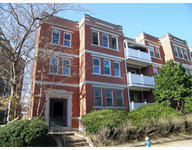 ft.
Sun filled recently renovated 2+ bd penthouse condo in heart of Coolidge Corner. Condo offers: mix of old world charm with modern renovation, new upscale EIK kitch w/stainless/granite & W/D, separate dining rm, updated baths, large closets, beamed ceilings, crown molding, oversized extra basement storage, unit-controlled heat & AC, 3rd flr has exclusive roof rights. Pre-paid rental parking. Perfect for city dwellers or empty nesters! Close to the T, shops & parks. Pets welcome!